Yes I know the Jewish New Year actually began Sunday at sundown, but the good thing about a 2-day New Year is you get a second chance to make your resolutions stick. The Jewish culture here in the U.S. is more about community than religion, so today I strung together some community things. First stop - coffee. 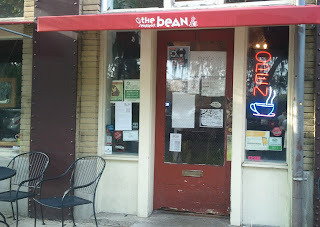 Every city, big or small, has its subversive coffee joint. 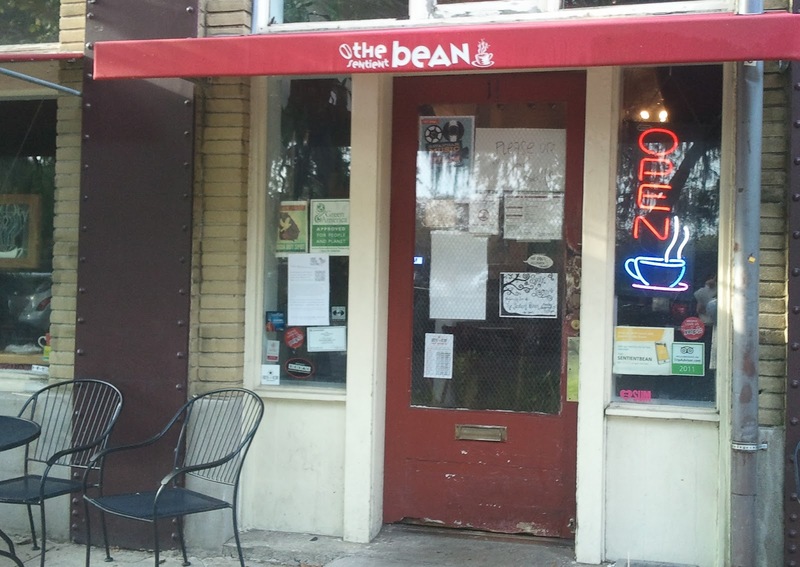 The Sentient Bean fits the bill in Savannah. It also happens to have the best coffee and scones in town. Not that I can't make my own coffee, or "sell out" for Starbucks once in a while, especially when I'm in a pinch. But I enjoy the 1-mile walk (round trip) cruising by SCAD's Arnold Hall to start my day. And my repeated business infuses the local economy. The same philosophy goes for the haircut I got today at Darryl V's. You've all seen my picture - I could cut my own hair if I wanted to. But my bi-weekly presence help to stimulate a local business. 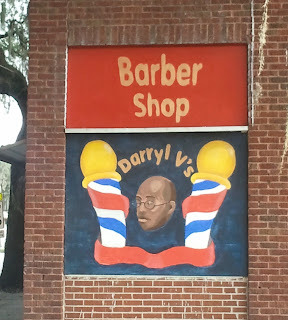 And, as with many African-American (I say neighborhood) barbershops, there is also banter, philosophy, and therapy. My money is not wasted. 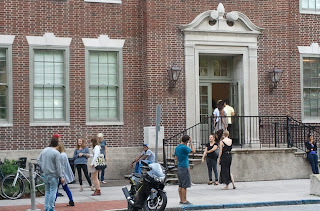 I headed to ATA for the Tuesday double class. "Black belts only" at 10 AM, followed by "All adults" at 11 AM. Master Richard just got back from a weekend training in Philippine Combatives, which meant a lot of ambidextrous weaponry. Tough for an old dog to learn new tricks. I meant me of course, Sir! Then it was Rosh Hashanah "dinner" at Chez Reeves. Yes, a multi-course, delicious dinner for 28 people (at last count) was at 2 PM. That's the Jewish holidays for ya. At 4:30, E-Man had his own karate and C-Love had gymnastics. I shuttled between them as a proud Dad, watching and sometimes participating as a pad-holder on primary schoolers' punch-kick combos. It was an active day in my community and I look forward to many more in the New Year. Even if I'm still writing 5772 on my checks.